Over the years. Lidget Concrete Ltd., has built up an enviable reputation for the design and installation of bespoke buildings... tailor made for our customers requirements. This had led to the establishment of our own in-house specialist building division. This department is supervised by experienced engineers who liase with the client to expertly recognise and implement their requirements. 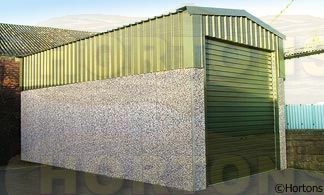 Specialist project work can be undertaken on light industrial or extra high buildings. Our flexible production process offers you the customer a product specific to your needs. All our work is undertaken with site safety of paramount importance, with method statements and risk assessments utilised for all aspects of the installation works.